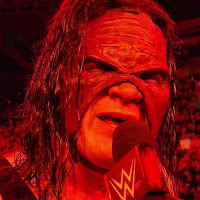 - WWE has a new poll asking fans who they would rather have in their corner at WWE Super Show-Down - Kane or WWE Hall of Famer Shawn Michaels. As of this writing, 54% voted for Kane. As noted, Kane will be in The Undertaker's corner while Michaels will be in Triple H's corner for the big match on October 6 in Australia. It's believed this will lead to Michaels coming out of retirement for a big tag team match at WWE Crown Jewel in Saudi Arabia on November 2.